It's Labor Day weekend and the weather is finally beginning to align with the month... conceptually speaking. September eased in quietly, and we've even had some miraculous 60 degree nights and low humidity days here in North Carolina. George Washington Bridge Morning Traffic. The past few weeks spoiled me. I spent two weeks in Minnesota, and then followed up with a few days in New York City and Long Island, NY. The humidity was low, the nights were cool, and I noticed from the road that the leaves were beginning to change ever-so-slightly in Pennsylvania and New Jersey. ELITE. Loaded up with Decoy Rafts. I began prepping for New York a few days prior to departure, making sure that I knew the general areas where I'd be stopping to sleep in the RV. The original plan was to meet with Lee from Floating Feathers Guide Service in Upstate NY, and then travel from there to Elite Long Island Outfitters in Riverhead, NY (Long Island). Both these Outfitters operate first class guide services, and have truly worked hard to perfect their craft and establish themselves as the pinnacle of Guide Services in NY. We are excited that they will both be implementing Decoy Rafts into their spread in the coming seasons, and jumped at the opportunity to travel up and meet them. Lee from Floating Feathers had something come up last minute, so we ended up shipping his Decoy Rafts and taking a Rain Check on the meeting. With this in mind, I'd be coming straight from NC to Long Island, NY. East End of Long Island, NY.... World's apart from the West End. When I began researching the best RV travel route through NYC to Long Island, it became apparent that if I were to drive the RV through NYC that I would actually be ushering in the Four Horseman of the Apocalypse. I learned that RVs are only allowed to drive on Expressways in NYC (Not Parkways), that all Propane must be shut off before any Bridges and Tunnels, the Tolls alone were going to cost me $168.00 (insane! ), not to mention the rough roads, driving Solo, etc etc....... These elements, factored with the RV's slow acceleration as compared to NYC's prerequisite for aggressive driving, pushed me to make the decision to forgo driving the RV into the city and instead drive my F-150. I have a Cousin, Addison, who I grew up with here in NC, that now works on Wall Street in NYC and lives across the Hudson River in Hoboken, NJ. I gave him a call to see about crashing on his couch for a few days while I ventured out to Long Island. He generously gave me the invite, and I began loading up Decoy Rafts and packing the Truck. Fresh Made Guacamole. Made Right at your Table in Hoboken, NJ. As I started my trek up I-95 North, my wife called to inform me that she was feeling sick and running a high fever and chills. Her visit to the Doctor had just revealed a hearty case of Strep Throat. If you're like me, receiving this news while driving solo to NYC on the first leg of your journey is not a good omen. I continued north with an uneasy feeling of impending doom. I was certain that before it was all over, I would be huddled up, deliriously shivering in a seedy, hourly-rate, crack-house hotel somewhere in the underbelly of the 5 Boros. The drive from NC to Hoboken, NJ is a solid 9.5-10 hours. If trip times are typically calculated by miles, this one is estimated by traffic. Pretty much from Fredricksburg, VA to NYC is nothing but wall-to-wall traffic. With this in mind, I planned on diverting from I-95 once I hit Washington DC, and traveling I-78 through Gettysburg, PA....and then finally arriving in Hoboken, NJ from the west. The ride up went smoothly, save for the nasty DC traffic. Once I cleared Frederick, MD....the traffic dropped significantly and I was finally free to enjoy the rolling hills and the countryside of Pennsylvania. I arrived in Hoboken a few hours later, racing through a whirlwind of high-intensity traffic and tolls. My cousin Addison jumped in my truck on the street and directed me to a parking deck where I would have to pay for parking overnight. Glimpses of Ferris Bueller's Day Off flashed in my mind as I handed my keys over to the Parking Attendant. Once my truck was securely out of my hands, we grabbed a Cab and sauntered over to Washington Street and the area of Frank Sinatra Park. Turns out Hoboken is Frank Sinatra's hometown (and also the birthplace of Blimpie Subs... as well as the site of the first ever Baseball game). Hoboken was very lively...the definitive "young," upcoming city. The view across the Hudson River was among the top views of NYC that I've ever seen. Words can't accurately describe the energy that is in the air there. I found my thoughts chaotically colliding with one another trying to wrap my head around such a place and all the souls stacked on top of each other. The last time I had been in NYC was during my High School years in the late 90s. It was still strange not to see the Twin Towers lurking overhead... and I couldn't help but reflect on the forever altered skyline that remained from that awful day in September. We ate at the Ainsworth that night, which provided an excellent open-air atmosphere and an inspirational view of the most powerful city the world has to offer. The food was as fantastic as it was expensive. Addison drove me around to some other local Hoboken digs...Pier 13, etc....before retiring to his sixth-floor apartment. 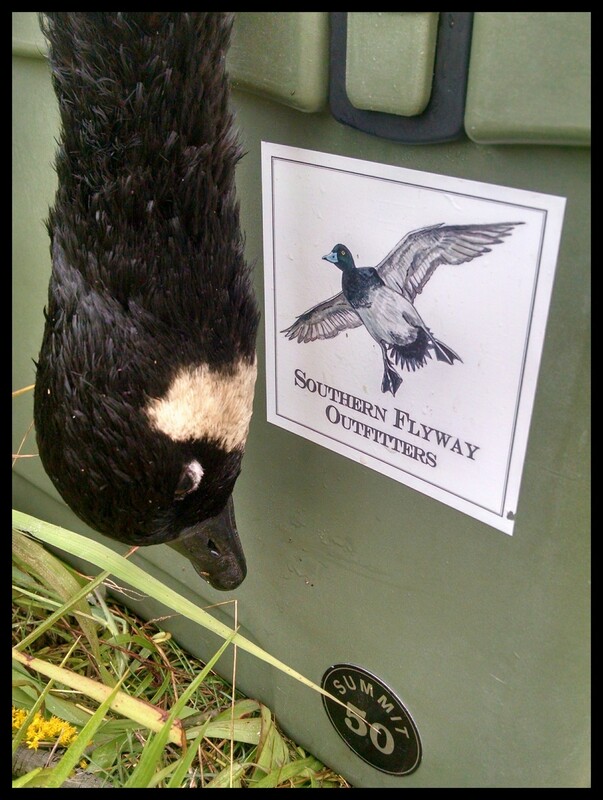 The next morning I grabbed a coffee, bailed my truck out, and aimed it toward Elite Long Island Outfitters. NYC Rush Hour traffic... on Labor Day Weekend... in the driving rain... is probably as bad as you think it is. I battled for a solid three hours...across the George Washington Bridge, Queens, Throgs Neck Bridge, and onto Long Island. The traffic on the journey east never relented until I finally got to Riverhead and away from the Expressway. "Thought I'd seen some up's and down's, 'till I come into New York Town..."
After three grueling hours, I pulled into the driveway of the Elite Long Island Outfitters Lodge. Rob and Mike were there waiting for me, having ordered some big pizzas for lunch. After swapping stories, laughing, and eating some real New York Pizza...Rob and Steve gave me a tour of the state-of-the-art Elite Long Island facilities, the Pheasant and Chukar pens, the barns, the Lodge, etc. These guys are definitely masters of their craft, and their impeccable attention to detail speaks for itself. The lodge is outfitted to prepare serious hunters to harvest a variety of game, and to frame the experience with unforgettable amenities. I am beyond thrilled that they are implementing serious numbers of Decoy Rafts to their Sea Duck Spread this year. They immediately recognized the in-field advantage they are going to have by running the Decoy Raft, and were so stoked to get theirs and begin prepping for the NY season. They operate guided sea-duck hunts all the way to Montauk, NY. After seeing the operation first-hand, I'd recommend it to anyone hands-down....Where else can you shoot limits of duck and pheasant within the shadow of the most-powerful city on Earth, all while enjoying the plush amenities of a hunting lodge on Long Island NY? If you're looking for a state-of-the-art Hunting experience, look no further than Elite Long Island. Hurricane Hermine Welcome Home Party. After battling another evening session of rush hour traffic in NYC....including driving my truck through Times Square (! )...I spent one final night beneath the electric skyscrapers of NYC. If you can get past (or embrace?) the anonymity of the city, NYC is incredible. I found myself trying to wrap my head around the aura of the "City that Never Sleeps." One thing I noticed from my time there is that New York City forces you to become a part of it. You are forced to operate at the speed of the city...a city that is as assimilating as it is welcoming of every culture across the globe. The genteel, lower populated cities of the South are less imposing....and while this feels "welcoming," if you're not born in that city, you'll never actually "BE" a local. New York is the opposite, it pulls from every culture and makes them New Yorkers. I'm not sure what other city is like this....but New York definitely has some rare and unfathomable elements about it. On my final morning, I grabbed another coffee from Jefferson's in Hoboken, NJ and headed back across the Mason Dixon Line. I never got Strep Throat... and I was thankful that didn't have to comfort myself with a fluid-stained blanket somewhere in New Jersey. Nine hours later, I was graciously welcomed home by Hurricane Hermine as I crossed the North Carolina line. A special heartfelt Thanks to Rob, Steve, Mike at Elite Long Island Outfitter - Can't wait to get back up and hunt with ya'll this Fall......and big Thanks to Addison for the good time, the couch to sleep on, and the Southern Hospitality in the Empire State. Seeya in October, Dude. Thanks for the good times, New York. What a wet, warm, and weird 2nd/3rd split here in NC. We generally found that we were constantly anticipating that things were going to shift for the better any minute....really to no avail. Hat's off to all the other public land hunters that put in the work....scouting, prepping, cutting pines, spending $ they don't have, not sleeping, driving through the night, freezing in the rain (or sunshine), just to get skunked. While you're stacking decoys and thinking about what to do different for next year, here are some highlights from JE to enjoy.